Louis is back! And this time, he's learning all about personal space. Louis, a self-taught space expert is delighted to learn that his teacher has sent him to the principal's office to attend personal space camp. Eager to learn more about lunar landings, space suits, and other cosmic concepts, Louis soon discovers that he has much to learn about personal space right here on earth. 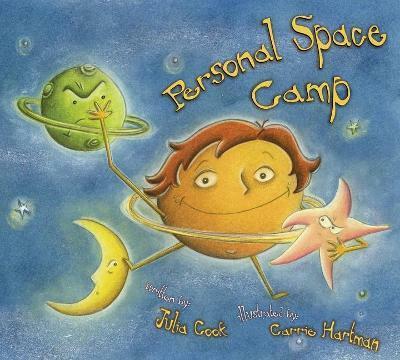 Written with style, wit, and rhythm, personal space camp addresses the complex issue of respect for another person's physical boundaries. Told from Louis perspective, this story is a must-have resource for parents, teachers, and counselors who want to communicate the idea of personal space in a manner that connects with kids.